Here I will show you how to make a archery finger-tab out of some pieces of buckskin. This one I made some years ago, and embellished it with a design using black walnut (Juglans nigra) dye. 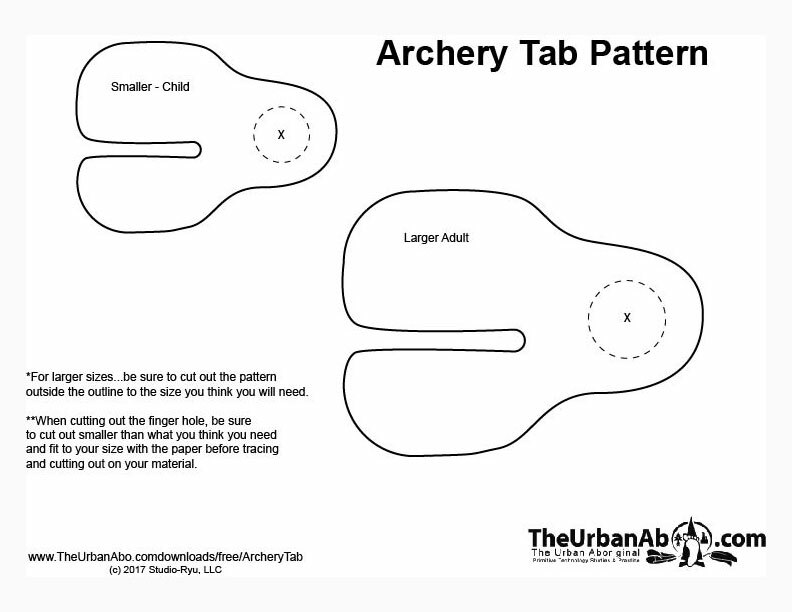 In this tutorialI will walk through making a quick archery tab using buckskin scraps. Here, using rubber-cement, but Elmer's, epoxy, and super-glues can be used; for primitive adhesives hide glue, fish-glue, and pine-pitch could be used.